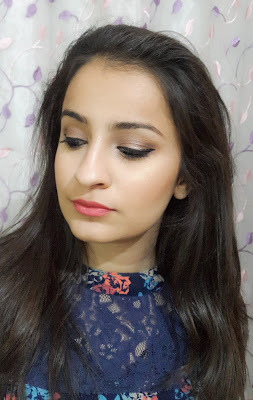 Kriti Sanon Inspired Hairstyle | Triple Topsy Ponytail Hairstyle - YOUR FANCY SELF! 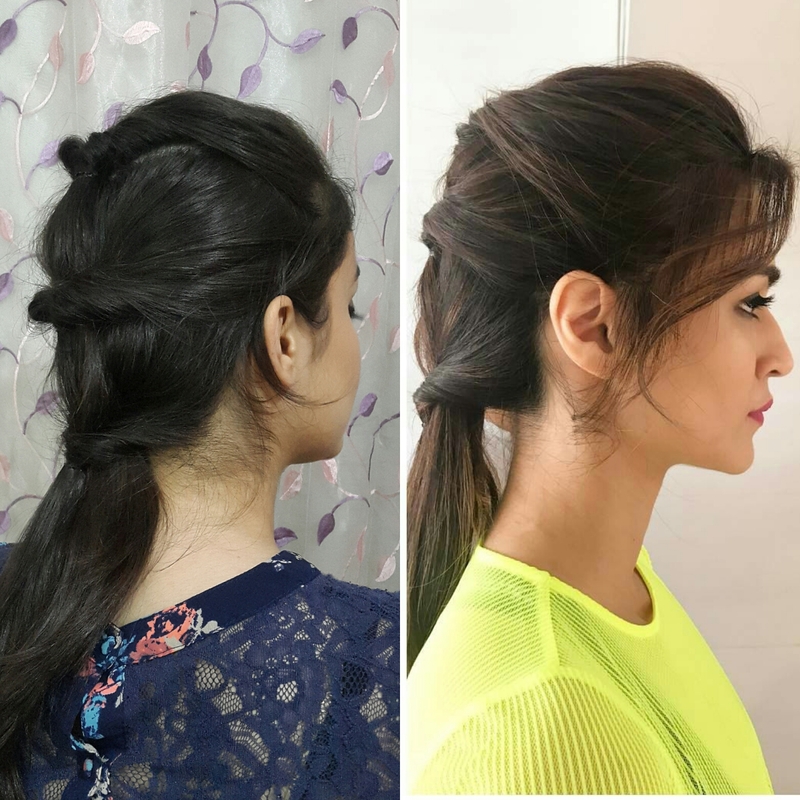 Recently Kriti Sanon was seen rocking this hairstyle called Triple Topsy Ponytail during her Film Raabtaa promotions. 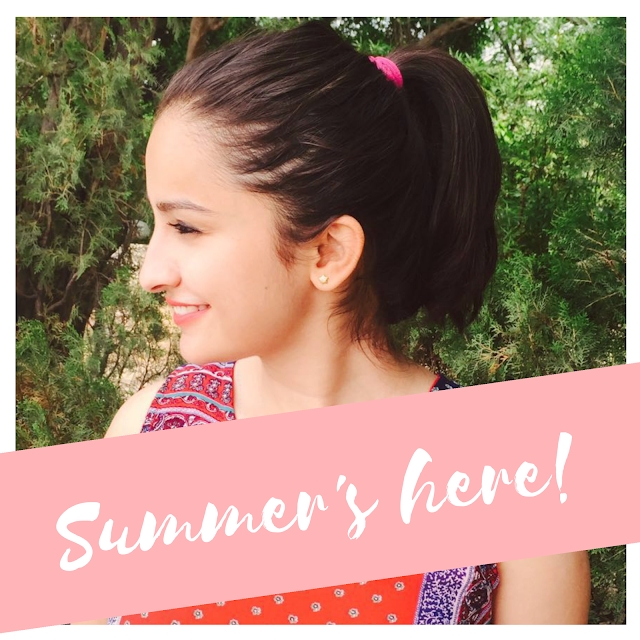 So I thought this is a very fun hairstyle and since there are monsoons already, ponytails are real saviors for frizzy or oily hair. 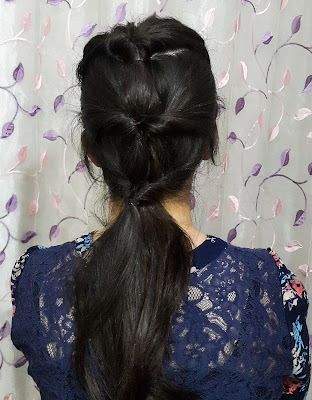 This hairstyle is really easy and takes no time to create. And the things you need are just few hair ties and a tail comb. Firstly, Begin by teasing your crown hair little bit for some extra volume as low ponytail will weight down for hair. 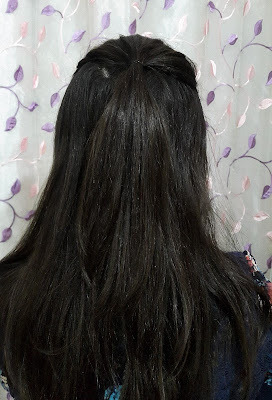 Then take the hair from the crown area not lower than your eyes and tie in all of the top hair into a ponytail. 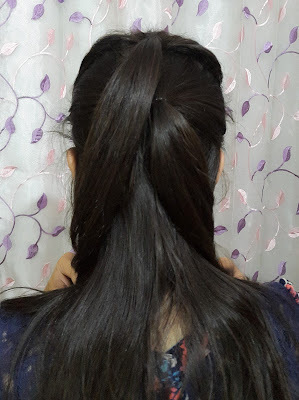 Now, Keeping that ponytail aside take the hair underneath the first ponytail upto the middle of your ears as a marker and tie it down into another ponytail. 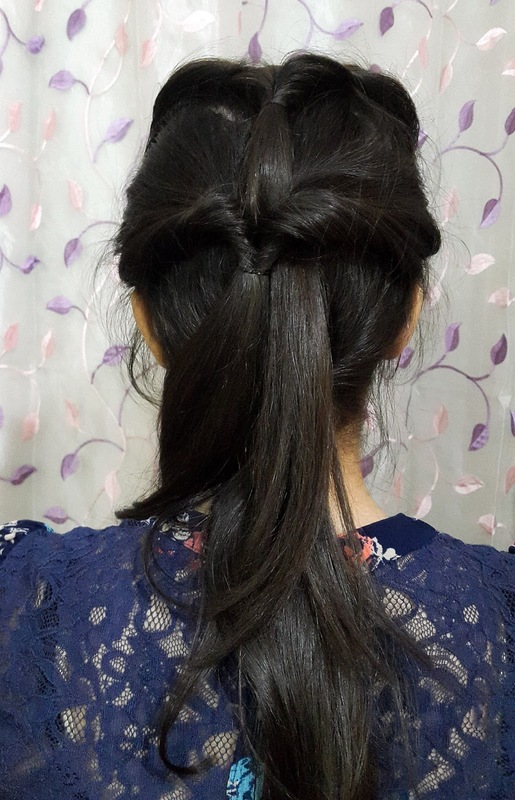 Next, Tie the remaining hair into another ponytail and by this time you would be having 3 ponytails. 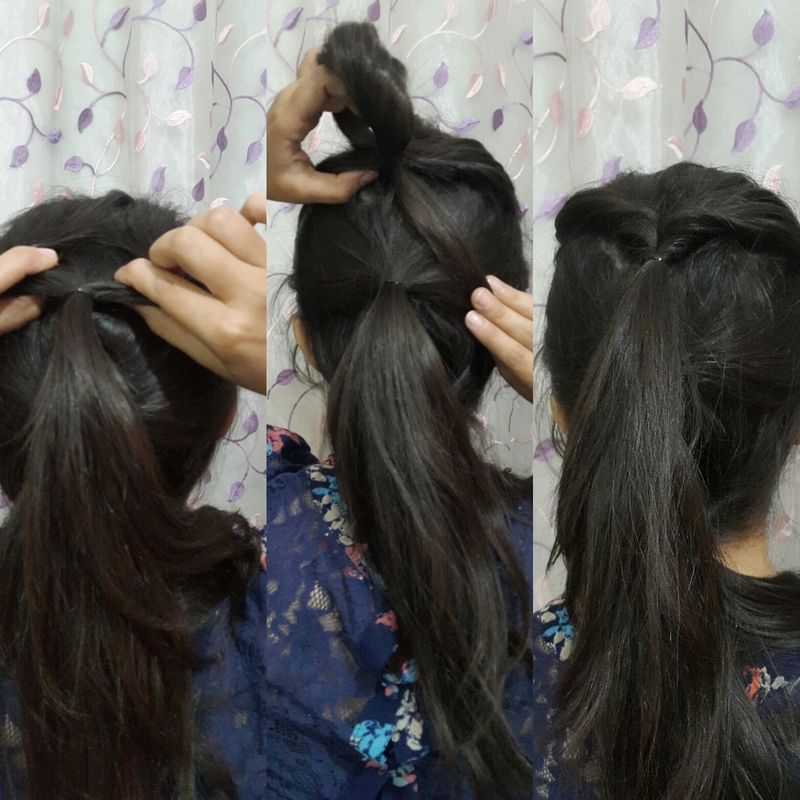 Now, Loosen up the first ponytail and create a hole by separating the hair between the hair tie and your scalp. 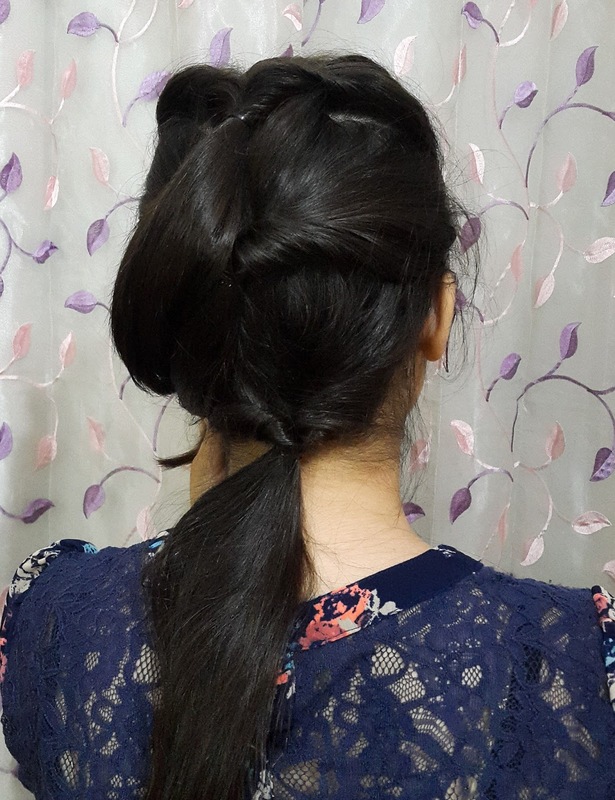 Flip the ponytail backwards into that hole bringing the hair from the top and pull it down. Tighten up the ponytail if needed. The hair should look like this now. 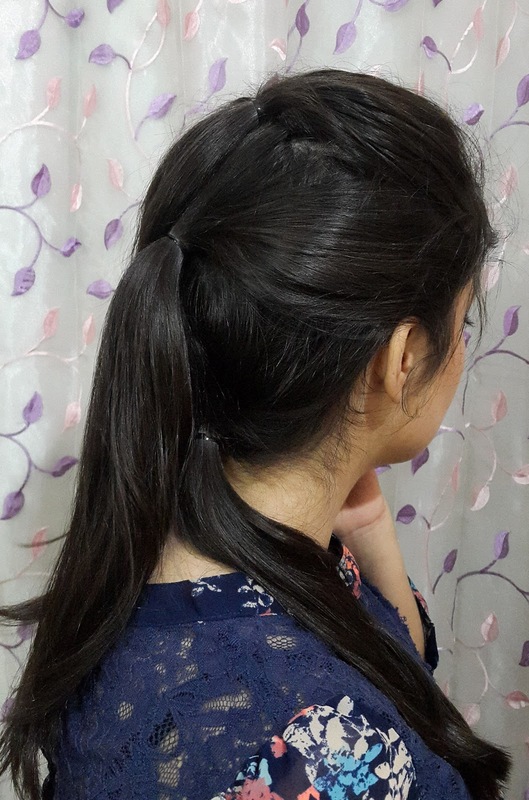 Now, Take the hair from first ponytail and pull them through the second ponytail close to your scalp. 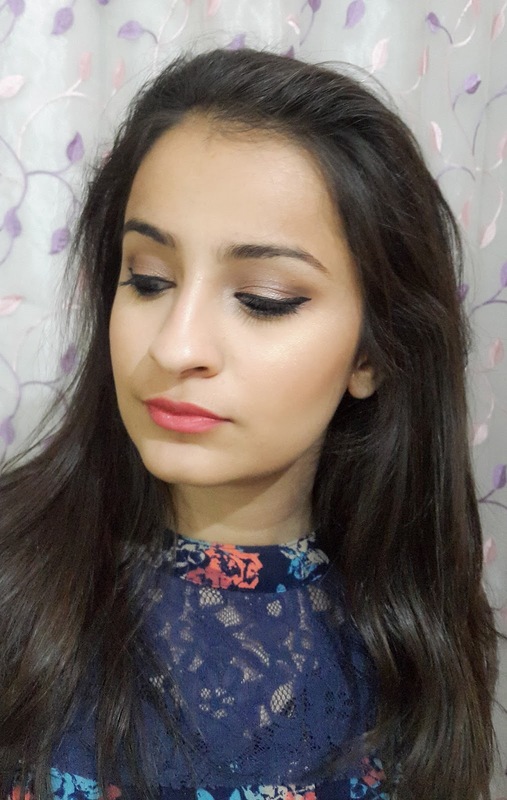 Make sure that both the ponytails are tightened up after doing this as loose ponytail will look shabby. The hairstyle should look something like this by now. 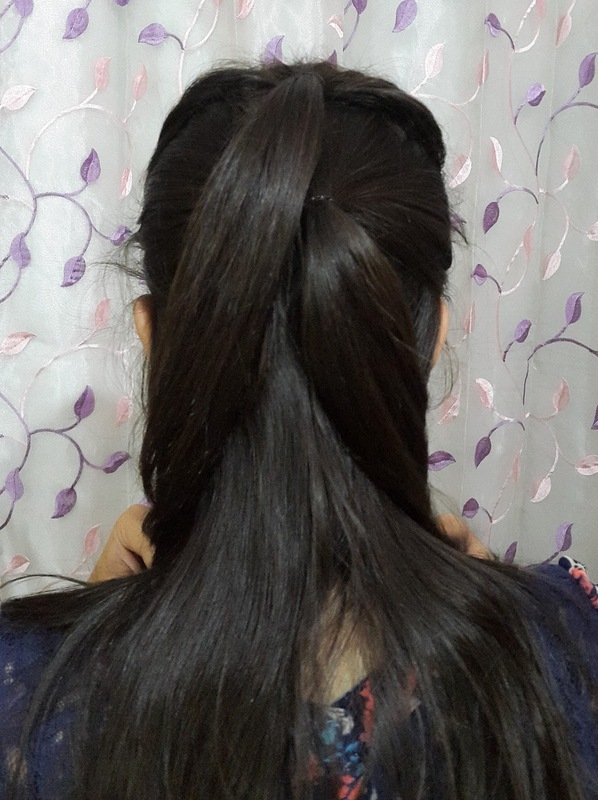 Do the same with the hair from First and Second ponytail by pulling them through the third one close to the scalp.